Lee N. Newcomer, MD, MHA, is the Senior Vice President, UnitedHealthcare with strategic responsibility for Oncology, Genetics and Women’s Health. Prior to rejoining United Health Group (UHG), Dr. Newcomer was a founding executive of Vivius, a consumer directed venture that allowed consumers to create their own personalized health plans. From 1991 to 2000, Dr. Newcomer held a number of positions at UHG, including Chief Medical Officer. His work there emphasized the development of performance measures and incentives to improve clinical care. 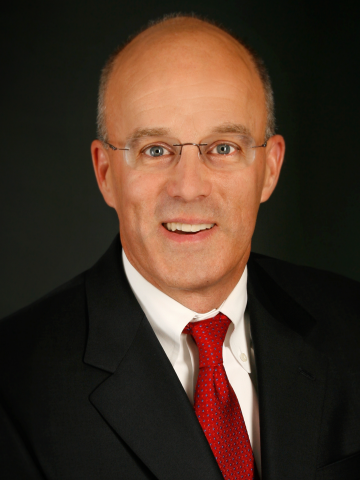 Prior to joining UHG, he was Medical Director for CIGNA Health Care of Kansas City. Dr. Newcomer is a board certified medical oncologist; he practiced medical oncology for nine years in Tulsa, Oklahoma and Minneapolis (Park Nicollet Clinic). He is the former Chairman of Park Nicollet Health Services, an integrated system of over 700 physicians and a 400 bed hospital. The group is nationally recognized for its leadership in quality, safety and lean processes. Dr. Newcomer earned a Bachelor of Arts degree in biology from Nebraska Wesleyan University, an MD degree from the University of Nebraska, College of Medicine, and an MS degree in health administration from the University of Wisconsin at Madison. He completed his internship and residency in internal medicine from the University of Nebraska Hospital, and fellowships in medical oncology and administrative medicine from the Yale University School of Medicine and the University of Wisconsin at Madison, respectively. Under Dr. Newcomer’s leadership, UnitedHealthcare launched a program to test a bundled payment model for oncologists. His work in this area has been published in numerous leading oncology journals and presented at international conferences.